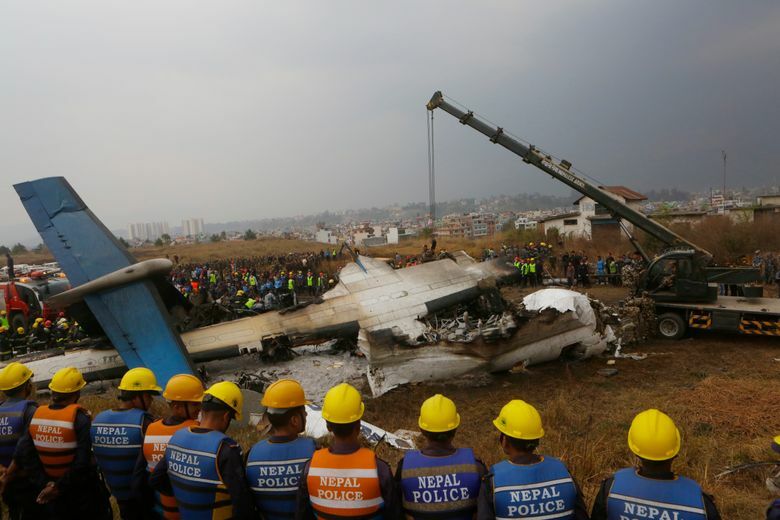 KATHMANDU, Nepal (AP) — Authorities in Nepal are struggling to identify the survivors of a deadly plane crash earlier this week, with many of the injured badly burned, in critical condition and unable to speak, officials said Thursday. Extensive burns, in both the living and the dead, have made identifications far more difficult, said police spokesman Manoj Neupane. The flight from Bangladesh, which was carrying 67 passengers and four crew members, slammed into a field beside the Kathmandu airport runway on Monday, bursting into flames. Neupane said at least 11 of the survivors have been identified but did not have an exact total. The crash left 49 people dead. Of the 22 survivors, 19 are still being treated in Kathmandu hospitals, he said, and another has been flown to Singapore for more medical care. Two surviving passengers, both of them Nepalese, have been discharged and gone home. Doctors at the city’s morgue have performed autopsies on only about half of those killed so far, and are struggling to identify many of the bodies, said police official Bijay Bhandari. Authorities hope to release the first bodies to their families over the weekend, he said. The US-Bangla Airways flight was carrying 32 passengers from Bangladesh, 33 from Nepal and one each from China and the Maldives. It did not provide the nationalities of the four crew members. Also on Thursday, a team of Bangladeshi doctors left for Nepal to help the injured and help with identifications. Bangladesh Prime Minister Sheikh Hasina ordered national flags be flown at half-staff at all government buildings at home and at embassies across the world, while special prayers are planned for Friday at mosques across the country during weekly prayers.